Mike graduated from Texas Woman’s University in Dallas with a Doctorate of Physical Therapy and joined the MTI Physical Therapy team in Issaquah in 2017. He completed the Orthopedic Manual Therapy Residency program through the Ola Grimsby Institute in 2018 and is continuing his manual therapy education as a fellow in training through the Ola Grimsby Institute. Mike developed a strong appreciation for physical therapy as an Army officer, when he saw how physical therapists not only rehabilitate those suffering from injuries, but also enhanced performance and better prepared people for intense physical activities. 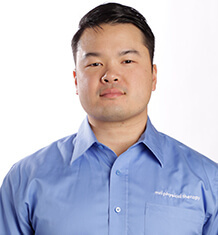 Mike worked as a strength and conditioning coach before attending physical therapy school and is passionate about incorporating functional strength training when working with his patients to help them return to their activities and to enhance their performance. In his free time, Mike enjoys road cycling, rock climbing, skiing/snowboarding and all the other outdoor adventures that the Pacific Northwest has to offer.